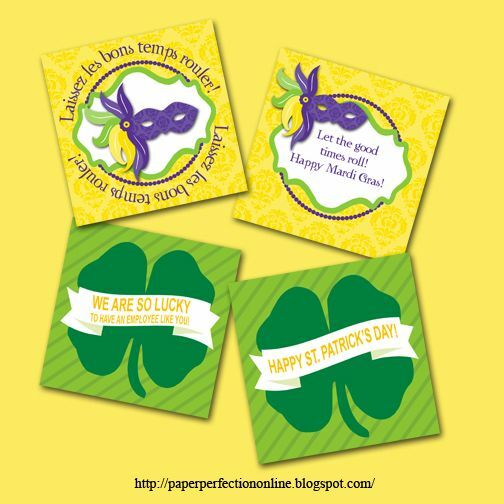 Here are two new fun gift tags or employee appreciation tags that I created for Mardi Gras and St. Patrick's Day. "Thanks for letting the good times roll at Company Name!" "Company Name is so lucky to have an employee like you!" Click here to link to another post with lots of employee appreciation tags for different types of candy or drinks. If you would like one of these tags or one of my many other employee appreciation tags contact Paper Perfection at jtanddolly@yahoo.com for pricing and details.